Sri Brhmapureeswarar temple is an ancient Shiva temple in Anbil town, which is 8.0 kms from Lalgudi,near Trichy. Lord Brahma is said to have worshipped here to get cured from his curse,hence the temple is called Brahmapureeswaram and the Shiva is known here as Brahmapureeswarar. He is also called as Satyavakeeswarar. This is one of the padal petra sthalams. 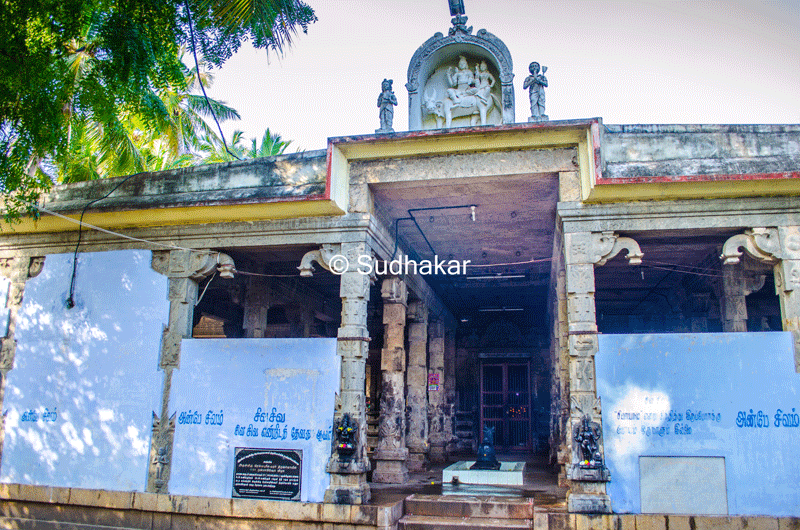 The Temple: The Shiva in this temple is in Suyambu (self manifested) facing east and the temple was constructed by Cholas around 700 years back. It is said that this temple is comparable to Kasi Viswanathar temple of Varanasi.Lord here is in a Suyambu(self-made) form and facing the east direction. Great saivaite saints Thiru Gnana Sambanthar and Thirunavukarasar have praised this temple. Once when Thiru Gnana Sambanthar visited this temple to worship, the river Kollidam was flooded with water and Sambanthar could not reach the temple. He stood far away from the temple in the river bank and recited poems on Lord Shiva. The voice of him was very feeble when it reached the temple, and to listen to the poems properly, Lord Ganesha tilted his head and his ears towards the direction where Sambanthar was standing. Hence the Ganesha here is called as Sevi Saitha Vinayagar ( Ganesha who turned his ears). Worshipping Lord Ganesha at this temple is considered to be very auspicious. Nandhi at this temple is not in line with the Shiva sannidhi and is considered another specialty. 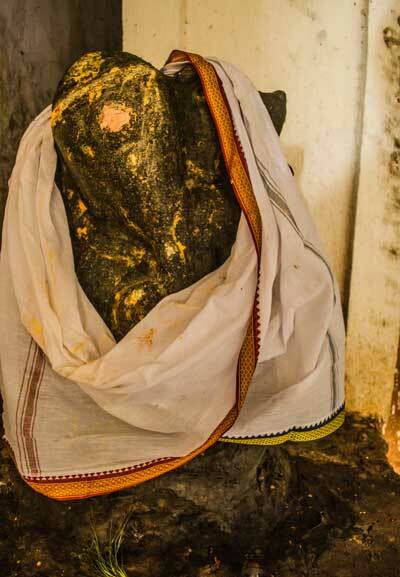 There is a seperate sannidhis for Lord Ganesha called here as Sevi Saitha Vinayagar. There is a sannidhi for Ambal Soundarya Nayaki, and sannidhis for Sapthamadhas, Lords Bikshadana, Viswanatha, Bhairava, Muruga can be seen in the prakaram. 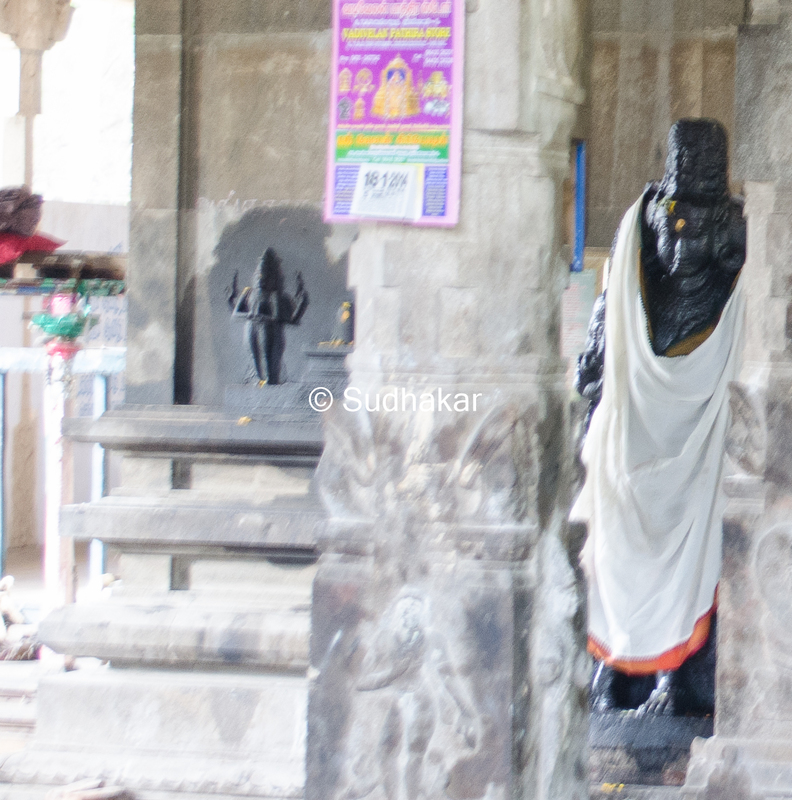 A sculpture depicting Lord Brahmma’s penance can be seen near the Dwarabalakas on the outer wall main sanctum on the left side. Faiths & Beleifs: Devotees who worship here is said to attain salvation without rebirth. Worshipping here on Chitra Powrnami(New moon day) is said to be very auspicious. Festivals Apart from the regular poojas, Pradosham days are celeberated in a grand manner. Temple location The temple is around 8 kms from Lalgudi in Trichy Anbil road and 34 kms from Trichy. Temple Timings The temple is open from 6.00 a.m. to 11:00 a.m. and from 5.00 p.m. to 8.00 p.m.
Where to Stay? There are no big hotels here in Anbil, but there are many good hotels at all budgets in Trichy. Other notable temples nearby Sri Vadivazhagiya Nambi Perumal temple is one of the 108 vaishnavite divya desams is very close by,an ancient Mariamman temple is in the near vicinity.